On April 23, Turkish Americans across the United States are celebrating Turkish National Sovereignty and Children’s Day. The day marks the inauguration of the Turkish Grand National Assembly (TGNA) on April 23, 1920, proclaimed in 1929 as a Turkish national holiday dedicated to children. Every year, April 23 is celebrated in Turkey and Turkish communities abroad with international children’s festivals, in the spirit of world peace and harmony. 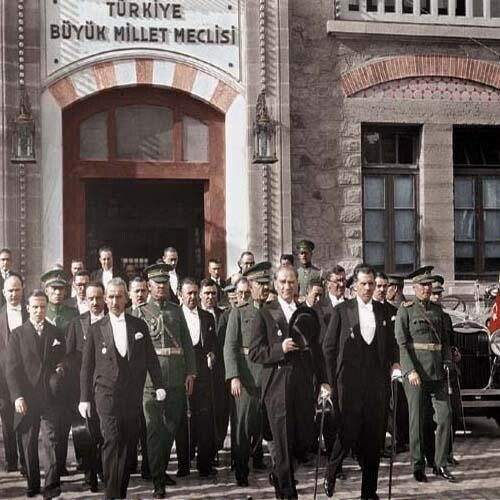 The inauguration of the TGNA on April 23, 1920 was first step toward the creation of the Republic of Turkey, the roots of which were laid during the Turkish National War of Liberation led by Mustafa Kemal - later to be given the name Ataturk (father of Turks). The Turkish national liberation struggle began on May 19, 1919 and culminated in the liberation of Anatolia from foreign occupation, the international recognition of modern Turkey’s borders by the Treaty of Lausanne, and the founding of the Republic of Turkey on October 29, 1923. When the TGNA held its first session in 1920, virtually every corner of the Ottoman Empire was under the occupation of the Allied powers. Exasperated by the Ottoman government’s inability to fight the occupation, patriotic movements began springing up all around Anatolia. The occupation of Izmir by invading Greek armies and the atrocities they committed against the Turkish population was the final outrage that sparked a nationwide resistance movement. This resistance soon turned into a war of independence under Mustafa Kemal, a young Ottoman military officer at the time. With the Allied occupation of Istanbul and the dissolving of the Ottoman Parliament, Mustafa Kemal’s justification for opening the resistance movement’s new legislative body was created. With the opening of the Assembly, Ankara became the center of the Turkish national struggle and was declared as the capital of the new Turkish Republic on October 13, 1923. On the opening day of the Assembly, Mustafa Kemal was elected as its first president. His opening speech includes clues of what he envisioned this Assembly to achieve. Stating that “there will not be any power above the assembly,” Atatürk set the stage for the founding of the Republic of Turkey to replace the Ottoman monarchy. The Assembly, as the representative body of the Turkish people, established a national army and defeated the Allied Powers. Under the visionary leadership of Mustafa Kemal Ataturk, it created a secular, democratic Republic.